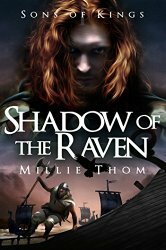 Today I am highlighting a fellow indie author, Millie Thom. 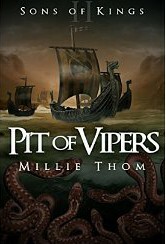 Millie not only writes an active blog full of fun and engaging stories, she cranks out robust historic fiction novels focused on the Anglo-Saxons of the 8th and 9th centuries, and the role of Vikings during this time period. She lives in a village on the Nottinghamshire-Lincolnshire boarder in England—just those names give her a legitimacy none of us Yankees could ever claim when writing historic fiction of the British Iles. She’s got castles in her backyard, people! Millie has a wonderful history of her life on the blog, so I’ll let you explore that on your own. I want to dig in a bit deeper with her about her writing, inspirations, methods, and her novels, “Shadow of the Raven” and “Pit of Vipers”. Here’s the interview. Mara: So glad to have you here on On Writing…Writing On. Millie: Thank you for that wonderful introduction, Mara, and for setting up this interview in the first place! I promise to try and answer the questions as well as I can. Mara: Your love of reading started as a child, with a father also had a love of books. But a love of reading doesn’t always translate to being a writer. What prompted you to take that leap? Millie: My love of reading certainly nurtured my love of stories. I never lost my passion for ‘making things up’ or creating imaginary places and situations in my head – even during my many years of teaching. I even did a creative writing course with The Writers Bureau in the 1980’s. But that was before teaching became a career that left little time for other pursuits, particularly with a family of six children to deal with as well. So my ‘leap’ into writing was on hold until I retired in 2009. I wouldn’t recommend this route into writing to anyone. I’m only now doing what I should have been doing many years ago. Mara: You were a teacher for your career—did you teach history, and that is why you focus on historical fiction? Millie: I’ve always taught in both Humanities (geography, history and religious education/R.E.) and Science Departments, so have taught history for as long as I’ve been teaching. I came to love the subject even more than my specialist ones (geography and biology). History just feeds my imagination as well as giving incredible insight into characters and a better understanding of events of the past. Mara: Where did you get the inspiration for your trilogy? Millie: In the 1970s, we moved down to Wantage for six years. 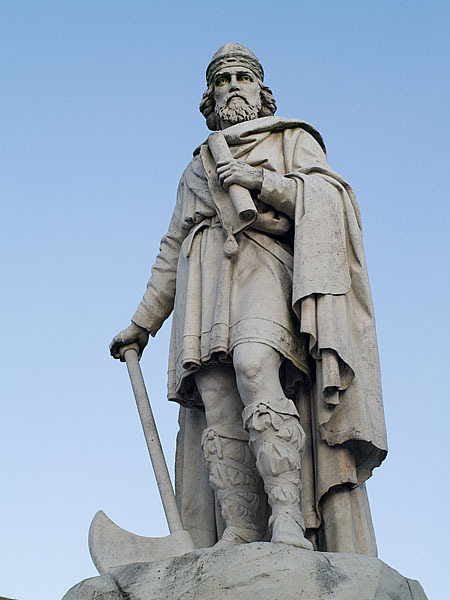 Wantage is thought to have been King Alfred’s birthplace: there’s even a statue of him in the Market Place. His fight against the Danes and his success in preventing them from taking Wessex (the only Anglo Saxon kingdom they didn’t take) really fascinated me. But it wasn’t until we had a holiday in Denmark in 2004 that the idea was rekindled. I gained so much on that holiday, particularly from a wonderful Viking ‘moot’ (market) at Aahus – over the last weekend in July every year. Combined with what I already knew about Alfred, the idea for the trilogy continued to grow from there. Mara: I write fantasy which really requires no research what so ever—I just make stuff up! But your novels are based directly in history. How did you go about researching for your books, and how long did it take until you said “enough is enough, just write already”? Millie: I love doing research and have to be very strict with myself at times. I realize I’m only reading for my own interest, but I also know that having a sound understanding of the characters, events and way of life of the time makes the writing flow so much better – perhaps more believably. As mentioned above, I have a lot of notes, booklets and photos from Denmark to flesh out the parts of my story that take place there. For Alfred’s life I have a number of texts and, of course, there are always online sources. Mara: Some people might hear the word “history” in your genre, and their eyes will glaze as they remember back to their high school history class taught by Mr. Dull. But your books are far from dull and dusty. Can you tell us who your books would appeal to, and why we should all be reading some historical fiction? Millie: I believe my books would appeal to any age group, from young adult (not early teen) to the elderly. An eighty-year-old gentleman from New York – a fellow WordPress blogger – has read both my books and reviewed them extremely positively on his blog. 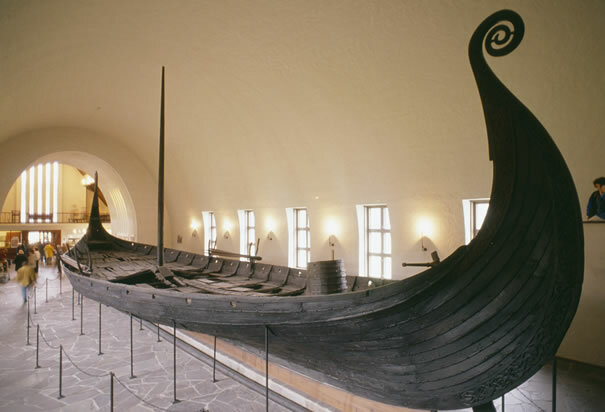 I would hope the books would appeal to anyone who enjoys a Viking adventure tale as well as finding out about places, life and characters in the 9th Century. 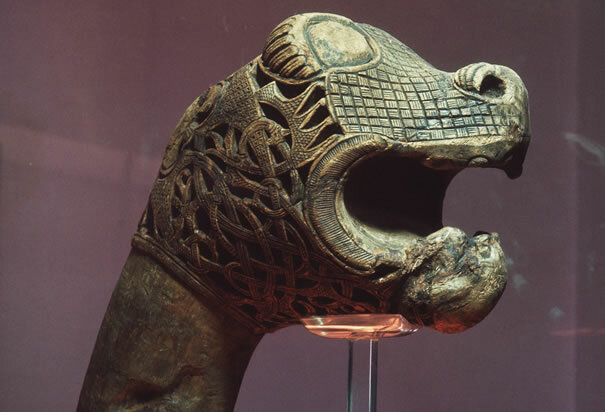 Events take place in a number of places throughout Europe – the Danes raided far and wide! Mara: Switching gears a bit, I’m curious about your own experience as an indie author. What process did you go through to decide to self-publish? Millie: By the time I thought my first book was ready for publishing in 2013, it was still historical fantasy. That will surprise you, Mara, I think! I’d read a lot of fantasy novels over the years and reckoned that if stories about King Arthur could be presented as fantasy, I could do the same for my story about Alfred. Well, I tried seven agents without any luck so decided the fantasy would have to go. I spent ages turning the story into a historical adventure and having it professionally edited, then tried the indie route because of all the positive vibes I kept hearing about it. Book One went onto Amazon last April and Book Two just before Christmas. Mara: Can you tell us some of the struggles and victories you had during the publishing process? Millie: Unfortunately, I didn’t feel computer literate enough to get my first book onto Amazon myself, and I didn’t want to keep pestering our children. I put it into the hands of a company who did everything from the formatting and uploading to creating a cover image and handling royalties etc. Unfortunately, they also take 10% of royalties for the privilege of handling the accounts. I’ve since regretted this and am looking into taking it out of their hands. It makes it a long process if you want to add or change anything in your book – as I did by changing the initial cover and adding some maps. There’s also a charge for making any amendments in the text itself. With Book Two, one of my daughters stepped in to help me do it all myself, and it’s been so much better. The other big mistake I made was in not building up any kind of author platform before publishing anything. My book had been on Amazon for three months before I realized I needed to do that. I started my blog at the end of July. I still don’t do Facebook or Twitter, but I’ve now got my books on a couple of advertising sites. Mara: Your covers are striking. Everything I’ve read about self-publishing stresses a professional, engaging cover. How did you go about finding yours? Millie: My two covers were created last year by Kit Foster, a Scottish illustrator I found online. I wasn’t happy with the simplistic cover I had for Book One so I asked him to create the cover for my second book. I was so impressed with not only what he came up with, but the way he’s so thorough. He likes a summary of the book and a section of text so he can get the ‘feel’ of the story being illustrated. He’ll also keep going and tweaking the image until I’m happy with what he shows me. He then did a cover for Book One for me and will do one for Book Three later this year. I love the moody, atmospheric look he’s created for both of them. Mara: Any specific advice for other authors looking to self-publish? Millie: Building up an online presence is something to start well before publishing. That is probably the first thing to think about. Then, consider having your book thoroughly edited, if not professionally, by someone extremely good at English who can pick out any errors. We don’t always spot even typos ourselves. Thirdly, I’d say do the self-publishing yourself and don’t waste money on a company offering to do everything for you. If it all sounds too difficult, turn for help to a relative or friend. You want control of your book yourself. Mara: What’s one thing you would like the readers to know about the Norsemen (a.k.a Vikings)? Millie: The main thing, I think, is that not all the Norsemen were brutal raiders. We can’t deny the summer raids, but many of the people were peaceful farmers, fishermen, traders and so on, with high moral standards and strict rules within their own societies. It’s likely that summer raiding began simply as a means of survival – to gain coin and items to trade for goods for the village, seed, and so on. Many Viking lands were infertile, so farming was difficult (e.g. parts of Norway and central Denmark). Although we may not be able to excuse their barbaric ways, we must bear in mind that they lived in violent times. It wasn’t many years before that the Anglo Saxons themselves were raiding throughout Western Europe. Thank you Millie for the wonderful interview. It’s not every day you get to peek inside the thoughts of an author, and I appreciate your willingness to share with me and my readers. So glad you liked it! I had a great time working with Millie and learning so much about her writing and process. What a wonderful interview with Millie Thom! I thoroughly enjoyed reading about how she came to be an author and how she proceeded to become published. Her books sound enthralling! Thank you for sharing the interview. Oh, so glad you liked it Rosie! I know I love reading interviews of authors–getting inside their head. I’m thinking I might try to do a series of them. Wanna be next?